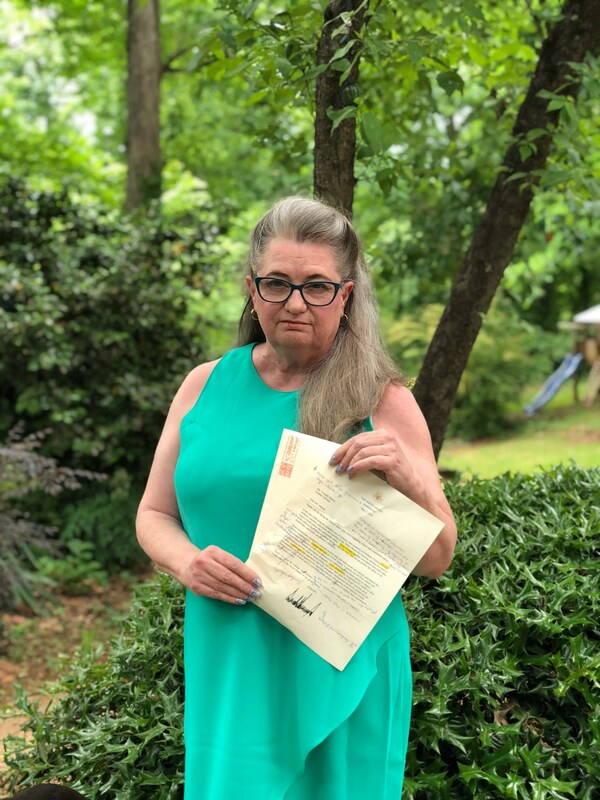 Former Mauldin High School English teacher Yvonne Mason corrected a letter she received from President Trump and sent it back to the White House. A photo of the letter, with Mason’s comments in purple ink, has become a social media sensation. 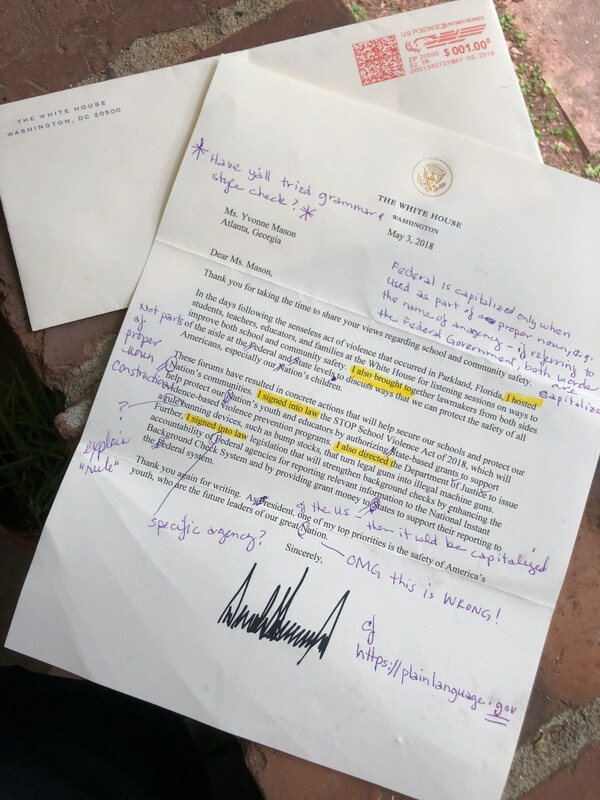 Using her signature purple ink — since harsh red ink is discouraged by some educators these days — Mason identified 11 instances of faulty capitalization in Trump’s letter. “‘Federal’ is capitalized only when used as part of a proper noun, e.g. the name of an agency,” Mason wrote. “You can choose to be an active part of this democracy in myriad ways,” said Mason, who is also a former actress at Greenville’s Cafe and Then Some and an author of a book of criticism about Southern writer Clyde Edgerton. “I choose to write because I’m a good writer, and I’m funny. Trump’s letter doesn’t respond specifically to Mason’s earlier letter to the president. In her letter, Mason asked Trump to meet individually with the family members of the victims of the shooting at Marjory Stoneman Douglas High School. Trump’s return letter talks in general terms about school safety. “It didn’t address the letter I wrote,” Mason said. Mason’s comments also draw attention to redundant expressions and overuse of the pronoun “I” in Trump’s letter. And there’s a dangling modifier to boot. “It’s stylistically appalling,” she said. Mason, an advocate of “clear, precise writing,” directs Trump to the government website plainlanguage.gov, dedicated to encouraging federal officials to write with clarity and specificity. “Language is the currency of power,” she said.